Sometime between the 29th and 31st of October, unknown perpetrators broke 104 windows at St Catherine’s Church in Tullamore. The police are investigating, and cannot exclude a targeted crime although the motive remains unclear. Parishioners expect up to €70,000 will be needed to renew the windows and enhance security. 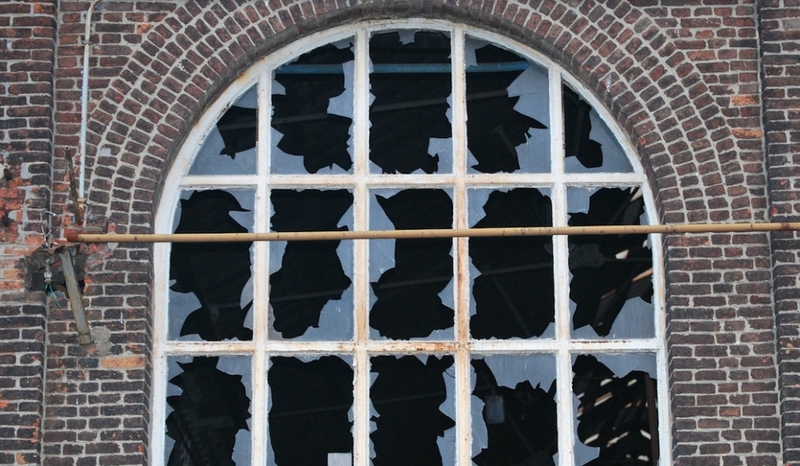 Every window without wire mesh was smashed, indicating that the vandals spent a long time causing the damage. And the scale of the damage leaves no doubt that it was a sectarian attack, said Reverend Delamere. The whole community was deeply shocked and disappointed. But he was also “heartened by the tremendous support that the parishioners of St Catherine’s were receiving from every part of the wider community.” A Go Fund Me Fundraiser was initiated to help raise the money for the renovation process. Bishop Pat Storey (Dioceses of Meath and Kildare) shared the disappointment and disbelief over such an senseless act of destruction with the community in a statement. She assured the parish of the prayers of the rest of the diocesan family.